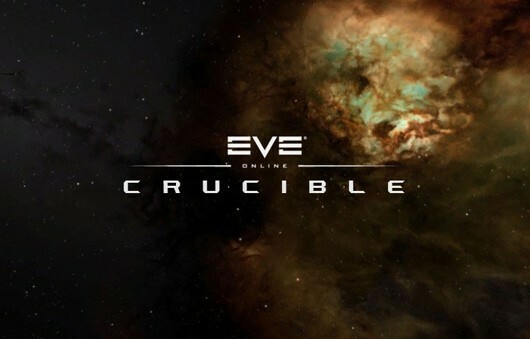 “With the Winter expansion possibly being named ‘Crucible’, it certainly is a melting pot of refinements and tweaks aimed at making the EVE experience smoother and more wholesome. If the developers suddenly found themselves some spare resources and approached you for an additional feature to include before release, what single concept would you pitch them and how would you implement it? I’ll add links to the banters below as they materialise. Buckle up, this should be a crazy and inventive ride. If you’re not sure what this Blog Banter lark is about, check this link for clarification. If you want to join in but don’t have a blog, there are number of community members who would be happy to guest host your writing. Please post in the comments if you are looking for or offering this service. Addendum: In an incredible coincidence, lead designer CCP Soundwave has now actually asked the community for ideas for his small feature list in this forum post. I doubt any of the suggestions will make it into this expansion, but I’m sure Team BFF will continue with their iteration assault beyond the initial release so it’s well worth getting your thinking cap on. I will be maintaining a a duplicate list of the links below in the above forum thread in this post. Maybe Navigational-linked Market Tools … since a new search for Courier Contracts is a Market Tool, and since the search is on currently set waypoints, it is a Navigational-Linked Market Tool. The link was just meant as a quick reference to the subject matter (more for CCP's ease of reference, since they're actually paying attention to this topic now). I'll change it as you suggested. Going through all that trouble to get yourself named CCP Cheapshoes? Can't very well give myself a good name when I'm giving everyone else comedy names can I. I did consider CCP GodAmongstMen, but I thought Cheapshoes was catchier. Especially since you're easier to catch when in in cheap shoes. Freeboots, however, they are a different story. But I digress. This time not so late and hopefully the correct link! Hey guys, here is my second blog banter, regarding multicapsule ships. It is a loooong post, but I really hope that you like it. Since I'm not an EVE expert I really wish there was someone to correct my stuff and hopefully help making these ideas better.